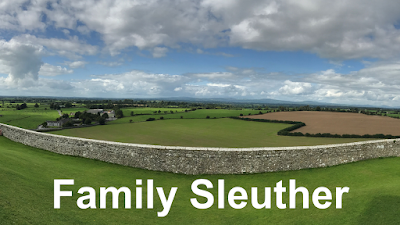 Family Sleuther: RootsTech 2019 Free Pass Giveaway! 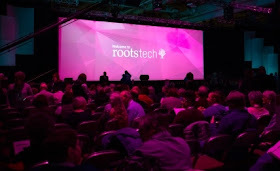 RootsTech 2019 Free Pass Giveaway! It's been nearly four years since I attended my first RootsTech in Salt Lake City. It was a phenomenal experience! I'm excited to share that I will be returning in 2019 as a conference attendee and Ambassador. As the premiere genealogy conference event of the year, RootsTech has a lot to offer attendees. First, there are over 300 classes available plus keynotes and general sessions facilitated by experienced family historians. At my first RootsTech, I attended 26 keynotes, sessions, and social events. The speakers featured a who's who of genealogy experts and rock stars. I returned home with dozens of tips and strategies to strengthen my genealogy and better positioned to break through my brick walls. Second, the conference is the genealogy world's largest. Don't let that frighten you! It's a tremendous opportunity to connect with like-minded folks and build your network with family historians eager to share research best practices. Third, location, location, location! You couldn't ask for a better location. Salt Lake City is synonymous with family history (Hello?! Family History Library, millions of microfilm, and a GRANITE MOUNTAIN vault!). It's a beautiful city with the mountains jutting majestically along the skyline. Need a break from the conference, slip away to the Family History Library and research to your heart's content. Best of all, as a RootsTech 2019 Ambassador, I get to give away one 4-day pass to a Family Sleuther follower. If you can be in Salt Lake City, Utah to attend the conference February 27 - March 2, 2019, register for this giveaway! *It does NOT include any paid lunches or paid labs. If you've already paid for the full 4-day conference registration, you can still enter and receive a refund. Simply register below. A winner will be selected - randomly - on November 3rd. The clock is ticking! Thanks for the chance to enter your contest! I've been to Rootstech for 3 yrs. Can't wait to go again! Love the classes, general sessions, expo hall, and all the like-minded people that I get to meet! Hope to meet you this year! It’s a great event that’s incredibly energizing. I’m looking forward to it, too! Thanks for the opportunity to win a pass! I'd love to go back to Rootstech. Cheers!